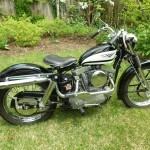 Restored 1960 Harley Davidson XLCH Sportster. 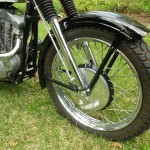 This motorcycle has the original frame, engine and sheet metal. It retains the original hubs and rims with Buchannan bead blasted SS spokes and has Pirelli MT 60 tires that resemble the Grasshoppers. All of the bearings, bushings and chains were replaced. The motor – gearbox was completely rebuilt. The original cases with original serial numbers and matching belly numbers were welded sparingly where a primary failure had occurred. It currently has a Bendix carburettor mounted because it starts so much easier with the accelerator pump. The magneto was refreshed professionally. The harness is a high quality reproduction. The muffler is original and was re chromed. 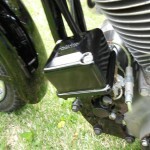 The fuel tank is the correct 2 outlet type and the fenders are original and correct. 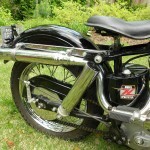 The seat mounted is a leather Corbin Gentry reproduction . 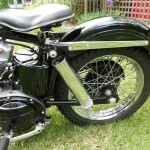 The grips are very nice reproductions. .
A fantastic Harley-Davidson restored to a very high standard. 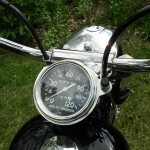 Harley-Davidson Sportster – 1960 For Sale or Wanted? If you're looking for the perfect Harley-Davidson Sportster – 1960 for sale then take a look at the hundreds of restored classic motorcycles listed on our extensive Motorcycles For Sale pages. 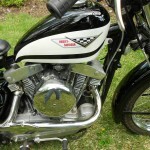 We regularly feature very nice restored Harley-Davidson Sportster – 1960 bikes for sale. 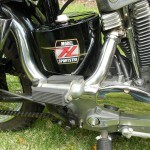 Spares and Parts for your Harley-Davidson Sportster – 1960? 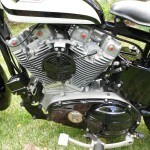 Workshop Manual for your Harley-Davidson Sportster – 1960?